Home Beauty BECCA x CHRISSY Holiday 2018 Available Now! BECCA x CHRISSY Holiday 2018 Available Now! Hold your horses! Becca Cosmetics just dropped their new holiday 2018 collection with the mum we all want to be, Chrissy Teigen! 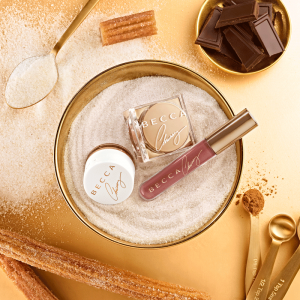 The Becca x Chrissy Cravings Collection is Becca’s third collaboration with model turned cookbook author, Teigen. Her first two collabs were hits, and the third looks like it will share the same story! Created with Chrissy Teigen, this kit features 4 never-before-seen formulas with holiday scents to create a full face, eye and lip look. Glow Soufflé Eyeshadow & Face Highlighter Duo in Cinnamon Churro: The two-in-one Glow Soufflé Eye Shadow and Face Highlighter Duo features a luxe, shimmer eyeshadow and an ultra-sensorial, creamy highlighter, infused with the scent of Chrissy’s favourite – cinnamon buns! 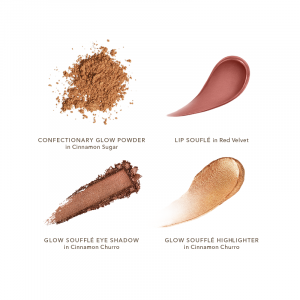 Confectionary Glow Powder in Cinnamon Sugar: Confectionary Glow Powder is a loose powder highlighter that creates a glistening glow, and is scented like mouth-watering cinnamon sugar. 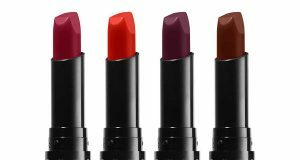 Lip Soufflé in Red Velvet: Lip Soufflé is a weightless, whipped-mousse, matte liquid lipstick infused with a delicious vanilla flavor. 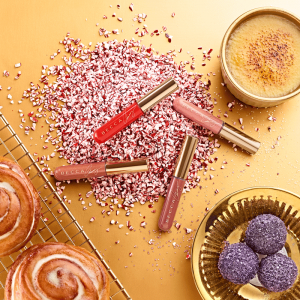 BECCA has teamed up with Chrissy Teigen to cook up an irresistible collection of brand-new Lip Icing Glow Glosses. Drench your lips in light, color, and a sweet vanilla scent—packaged in a clutch-friendly size to create sweet, kissable lips everywhere you go. 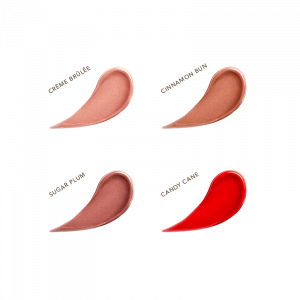 Glow Gloss is a luxe, conditioning lip formula with the shine of a lip gloss, pigment of a liquid lipstick, and nourishing benefits of a lip balm. This kit features 4 brand-new, delicious gloss shades. Previous articleOily/Combination Skin? Looking for a Moisturizer? You’re In Luck!